Mornin’ friends! 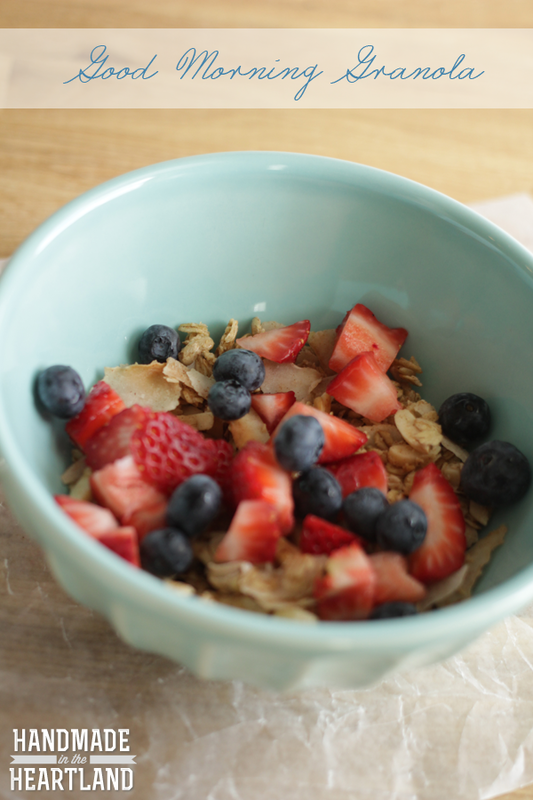 My go to breakfast for the past several years has been cereal, and not the kashi variety. After I went on the simple green smoothies challenge in february I realized that the lack of energy I felt every afternoon was directly related to my sugar intake earlier in the day. 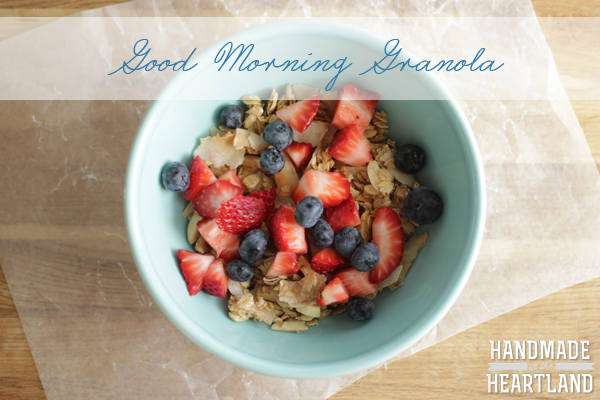 This granola is based off the recipe that was included in the cleanse but changed slightly. When I feel extra hungry in the morning or need an mid-morning snack after my my green smoothie I have a bowl with strawberries, blueberries and my new favorite coconut-almond milk and it always hits the spot. I keep my granola in this large glass canister so it keeps for a while, not that it lasts long enough to go bad. 😉 This recipe is gluten free if you use gluten free oats and only has pure maple syrup for a sweetener. 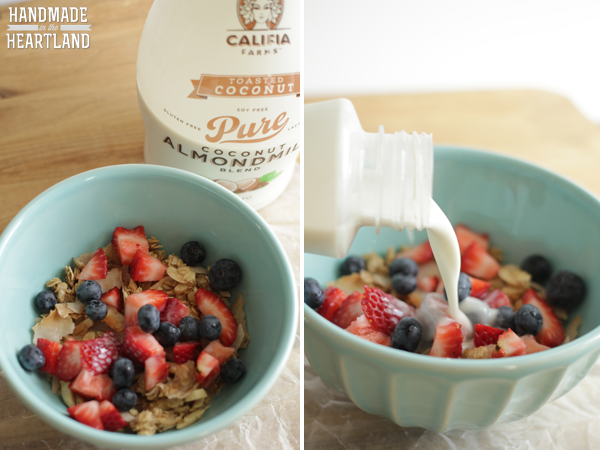 I’m kind obsessed with Califia Farms’ pure coconut almond milk, its sooo good. 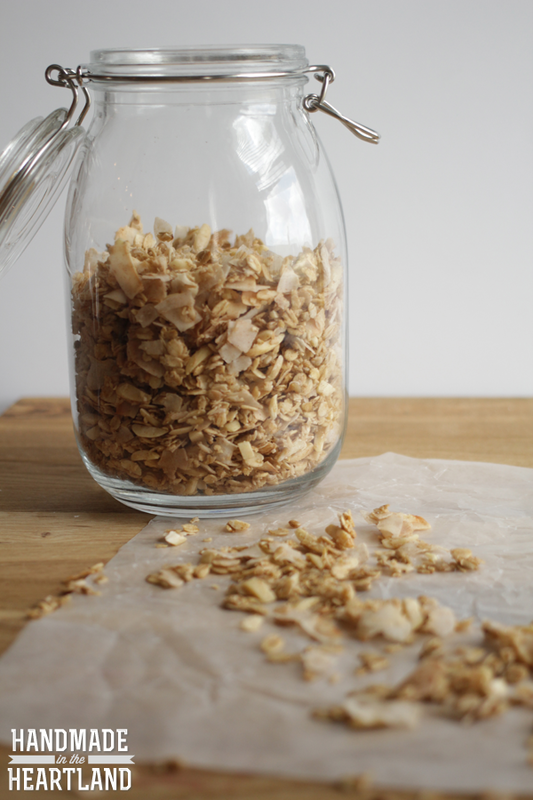 The only ingredients are almond milk and coconut cream and its the perfect milk for this granola. 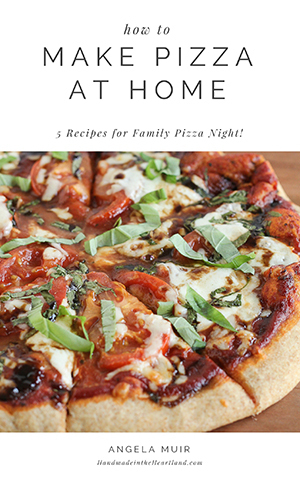 Preheat the oven to 300. 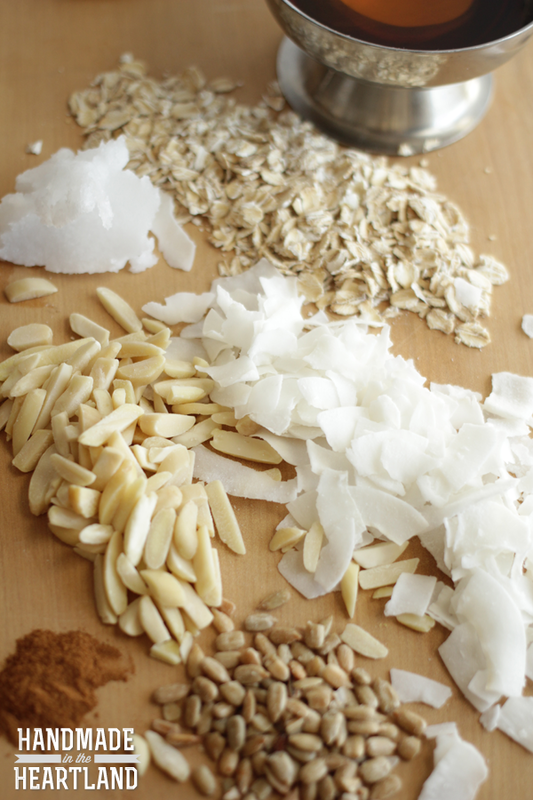 In a mixing bowl combine the oats, almonds, coconut flakes, sunflower seeds, cinnamon & seas salt. 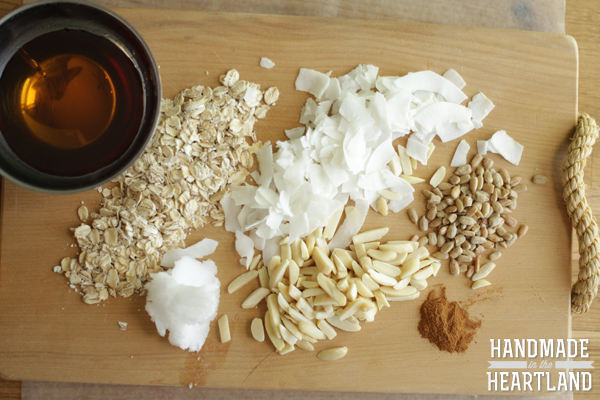 Melt the coconut oil in the microwave for 30 seconds. Pour the melted oil and the maple syrup over the oat mixture and stir until the liquid ingredients are spread evenly throughout.